The Dutchie's overstuffed bolster, zippered covers and removable inner cushion, make this a stylish and practical addition to the home. Clean lines and contemporary bolster shape. 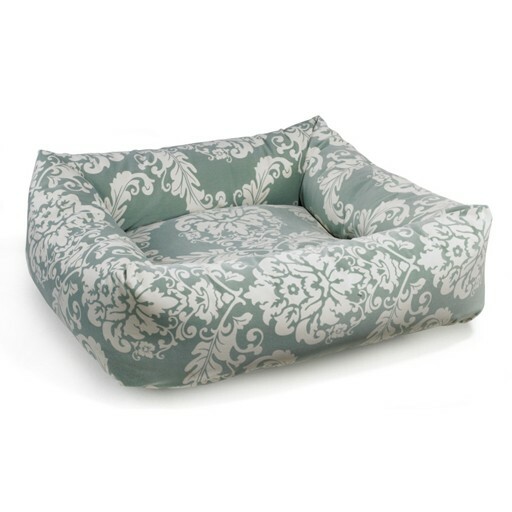 Bolster and bottom cushion contain 100% 'high-memory' polyester fibre. Cover and cushion zip off for washing and drying on cool setting (hand-wash bolster insert). Fabric: MicroVelvet. Superior quality designer upholstery grade fabric. Repels pet hair, dirt and spills. Soft and luxurious. Breathable. Cool in summer and cozy in winter. Machine washable and dryable. Color fast and non shrink fabric will look like new after every wash. Small: 21"L x 19"W x 7"H Medium: 28"L x 25"W x 8"H Large: 35"L x 32"W x 9"H XLarge: 40"L x 36"W x 10"H XXLarge: 47"L x 39"W x 11"H Bowser beds are hand-crafted at the time of order. This item ships from the manufacturer within 8 to 10 business days.